Kate is a Chartered and European Patent and Design Attorney specialising in advanced engineering technologies. Kate joined Greaves Brewster in 2017, moving from a senior position at another private practice IP firm. She was lured into the IP world from industry, where she held several senior design engineer roles and put her Masters degree in mechanical engineering into practice. Kate’s expertise spans the engineering field. She has extensive experience of obtaining and challenging patents across a wide range of technologies, including medical devices, power generation, automotive power trains, aerospace structures and systems, and explosives ordnance devices. She enjoys the thrill of delving into new technologies. Kate has worked for large multinationals, small start-ups, and every type of organisation in between. 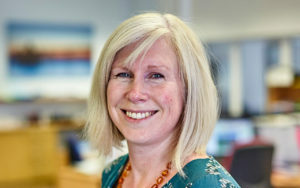 She prides herself on tailoring her advice to the specific client and their needs, and in giving clear, commercial advice with minimal jargon. Her experience in industry at the sharp end of the design process gives her a particularly practical perspective.